Jamieson Ranch Vineyards is the southernmost winery in the Napa Valley, one of the world’s foremost winemaking regions. Jamieson Ranch Vineyards is the southernmost winery in the Napa Valley, one of the world’s foremost winemaking regions. The estate’s more than 300 acres of gently rolling hills and terraced vineyards benefit from the cooling fog and breezes from the nearby San Pablo Bay, climatic conditions that favor the production of exceptional Pinot Noir and Chardonnay. The unique architecture of Jamieson Ranch Vineyards is reminiscent of a majestic western mountain lodge, replete with soaring ceilings, seating around a cozy fireplace, an observation gallery overlooking the barrel room and production area, and a spectacular wraparound veranda that affords sweeping views of the Napa Valley and San Pablo Bay. Whether you are planning an intimate gathering or an elaborate soiree, Jamieson Ranch Vineyards offers the perfect venue—distinctive facilities for corporate events, and private parties that look exquisite, proceed flawlessly and create a lasting memory for all involved. From crafting a cozy atmosphere for a fireside occasion to building a grand celebration, our experienced event-planning team is available to coordinate every facet of your event. We emphasize the mastery of details and are known for transforming your dreams into reality. 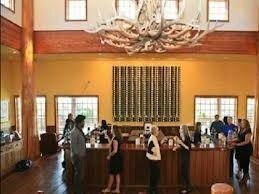 The winery features three elegant and unique spaces: the Estate Ballroom, the Overlook Veranda and the Observation Gallery. The venue and views from Jamieson Ranch Vineyards are spectacular. The wine is a very good value and quality. The staff's hospitality is very professional and courteous. Did you purchase any wine? Did you join their wine club?